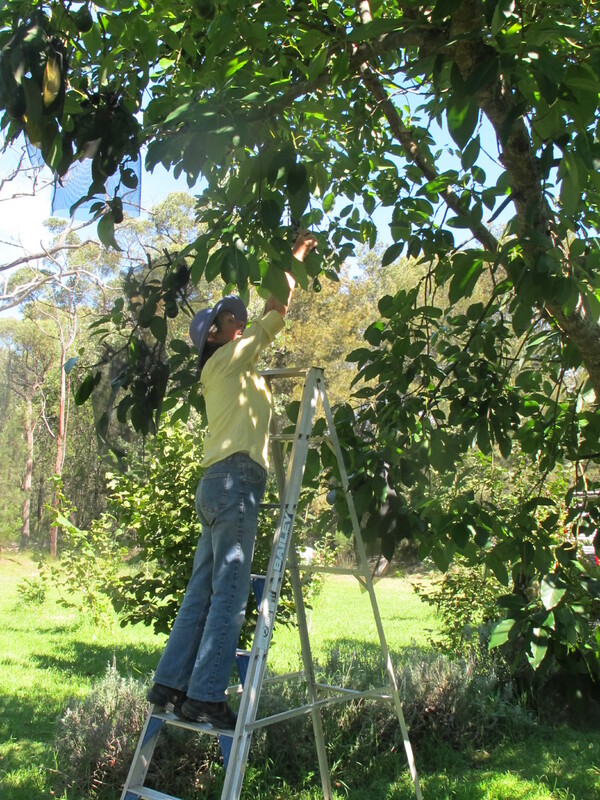 Potting, throwing, making clay, kiln packing, kiln firing, kiln unpacking, more wood cutting splitting and stacking, gardening, weeding, pruning, composting. It’s been a busy couple of weeks. Recently we have been doing something different everyday. There is always the garden and the pottery, then the house and land maintenance, but we are also doing weekend workshops over the winter months. We have just completed the 4th weekend in a row, only nine more to go, with a possible tenth. 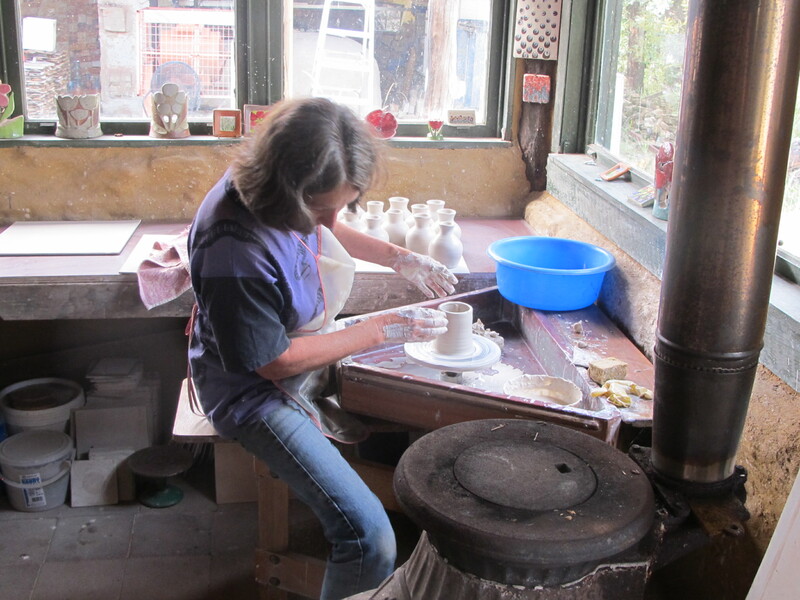 We started off the week in the pottery making pots. It’s always fun to get in there and let a few days slip by un-noticed in the joy of making. Clay is such a tactile and responsive medium. 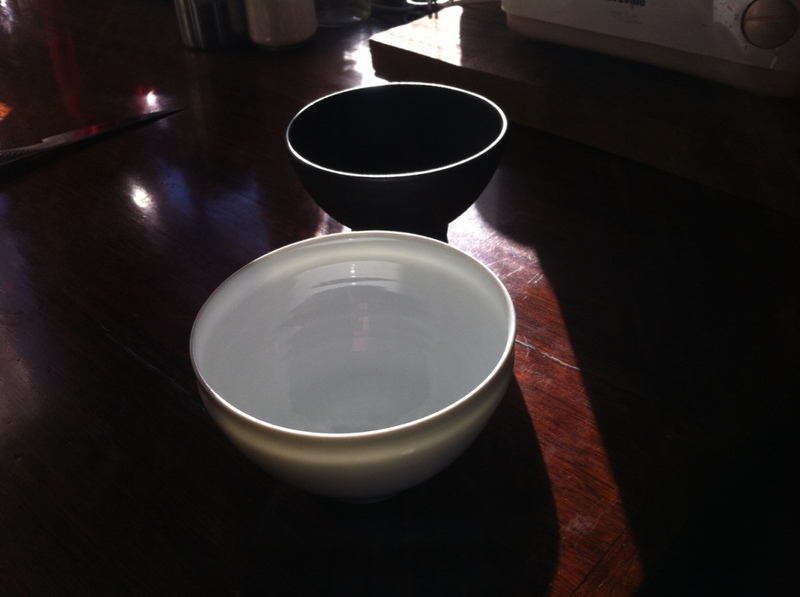 I’ve started to make some white tenmoku bowls out of my native bai-tunze porcelain stone. I also make a pot-board full of stoneware bowls and another of blended kaolin/stone based porcelain body. 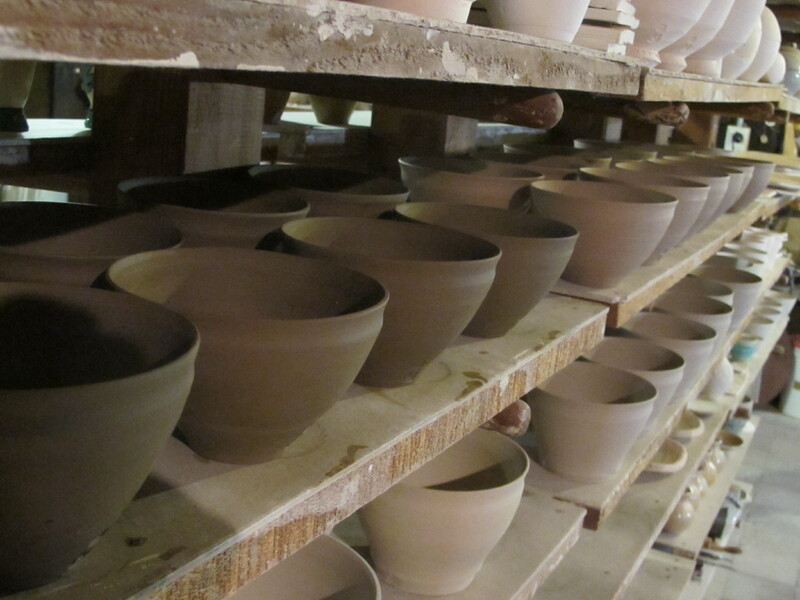 I finish up by making a board of Black ware tenmoku bowls. I plan to fire these unglazed in the wood kiln so that they will come out jet black. I think that this contrast of matt black and glossy white will work out well together. It’s just an idea. I’ll have to see how it goes. It’s starting out looking OK. The kiln that I welded up last week is back from the galvanisers already. A 7 day turn around! unheard off!. What has gone wrong? It usually takes these buggers at least 2 weeks and more, usually 3 or 4. I’ve even waited 6 weeks for one of my jobs to get through their process. Still, it’s back here now and I’m very pleased, it takes the pressure off. 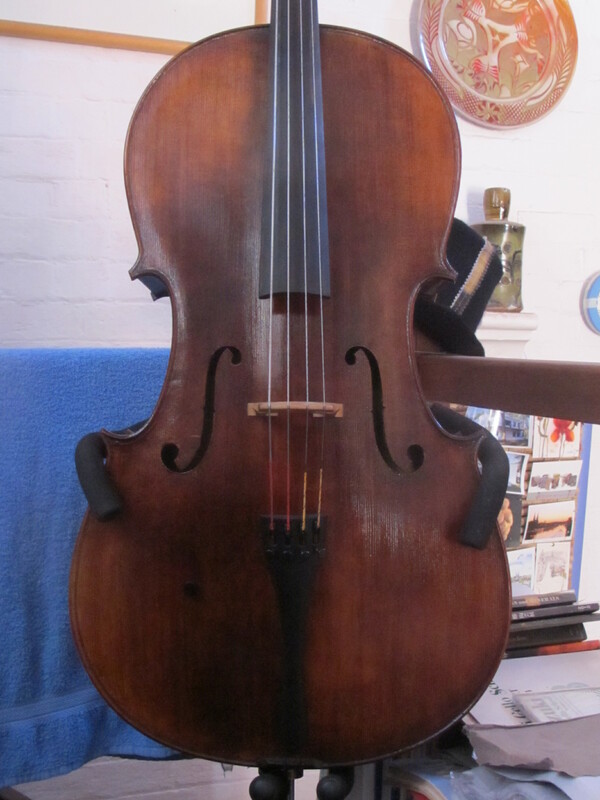 I drove up to Sydney on Monday morning to collect it – to make sure that it was done. I have spent an hour or two each morning this past week grinding, etching, sanding, filing, priming, undercoating, and finally two coats of top coat will go on the inside to make sure that it is really well rust proofed inside for years into the future. 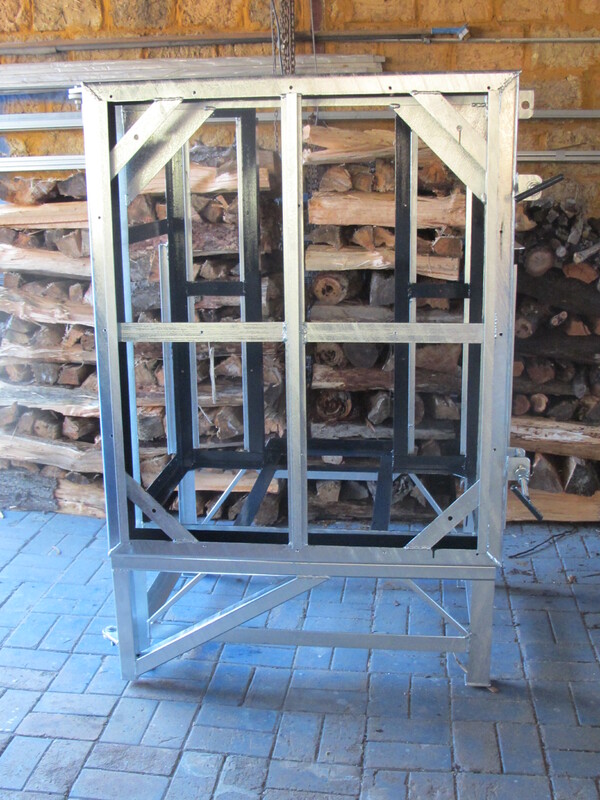 The customer has no idea what has gone on inside this kiln frame. 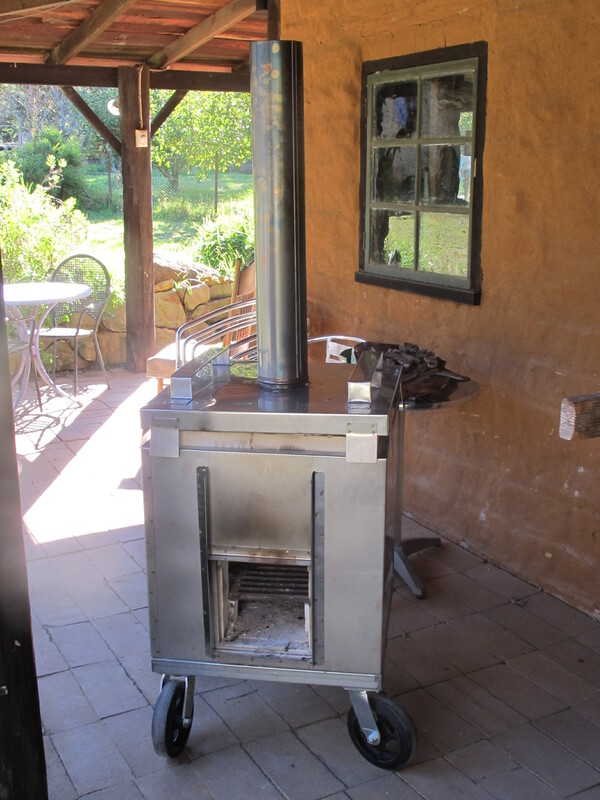 It’s all covered over in Stainless steel, but I know that it is the best way to insure that this kiln will last a working life time and more. I don’t have to do it. I decide to do it, because it’s the right thing to do. No one will ever know, but I know. I build them as if I was going to own it myself. I want it to last for 20, 30 or maybe 40 trouble-free years. I know that this effort will be rewarded. 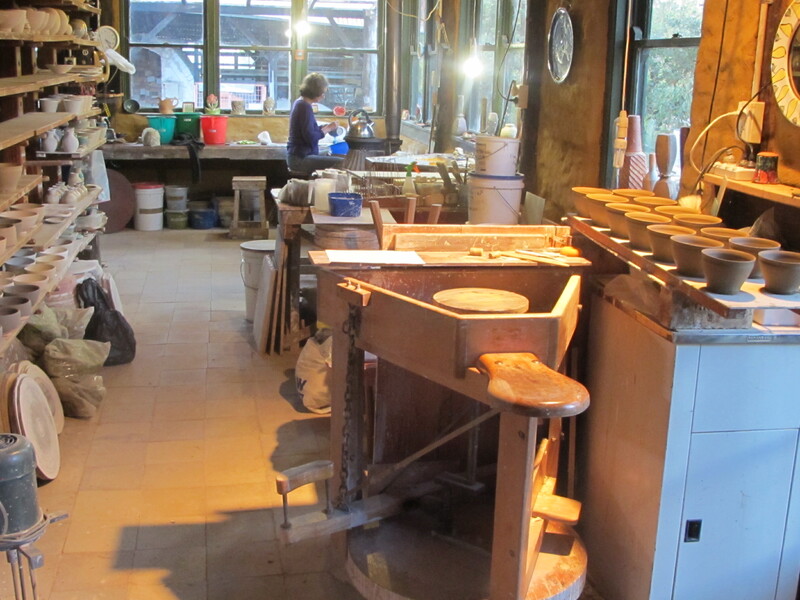 I have some kilns out there in Universities and TAFE colleges that are fired on a regular basis, every week and have been now for almost 30 years. I know their history and I also know that they have had only minimal maintenance issues over that time. I’m proud of that. If I buy something, I want it to last, all my life if necessary, with no built-in obsolescence. I want it to work perfectly, for as long as possible, and then to only need minimal attention. Something like the replacement of the thermocouple or temperature meter. This is my aim, and I’m all-in to go for it as best I can. It’s the product that I want to own! Another little wood fired raku/midfire portable wood kiln rolls of the production line. This one fitted with all-terrain 200 mm. tyres, for wheeling over wet lawn and/or soft gravel. 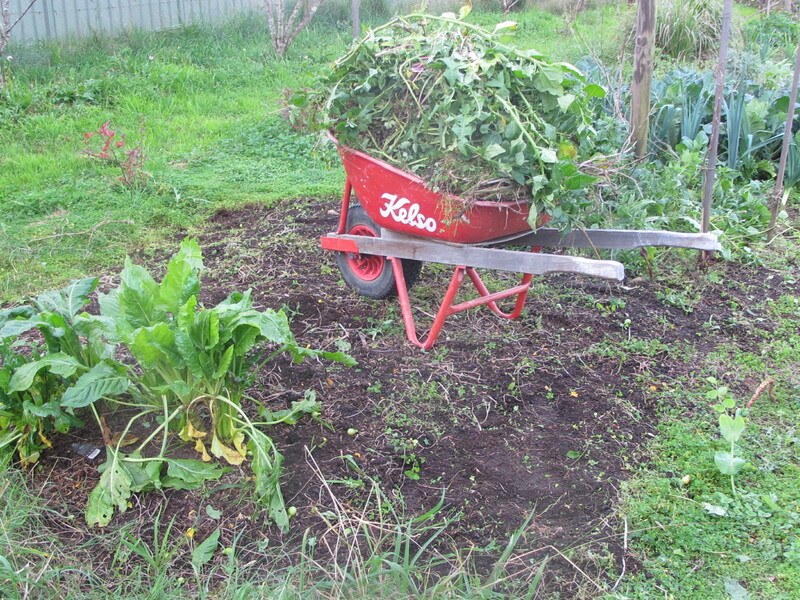 I started weeding the last of the tomatoes from the summer garden and made a huge couple of heaps of compost of all the weeds and old tomato and spinach plants. At this time of year, the Worrigal greens (tetragonis) seem to spread everywhere. It’s a native plant that is something like spinach, but growing prostrate, and spreading wildly. 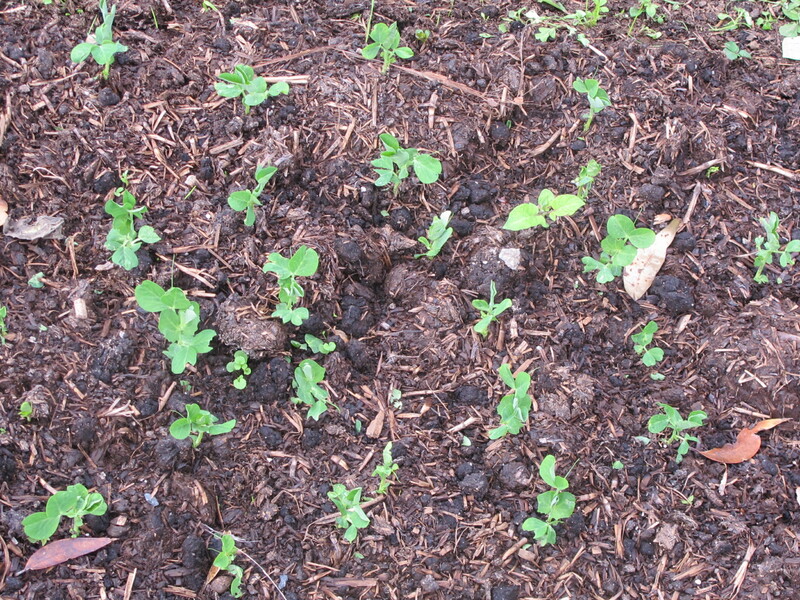 It seeds prolifically at this time of year and there will be numerous seedlings appearing in the spring. 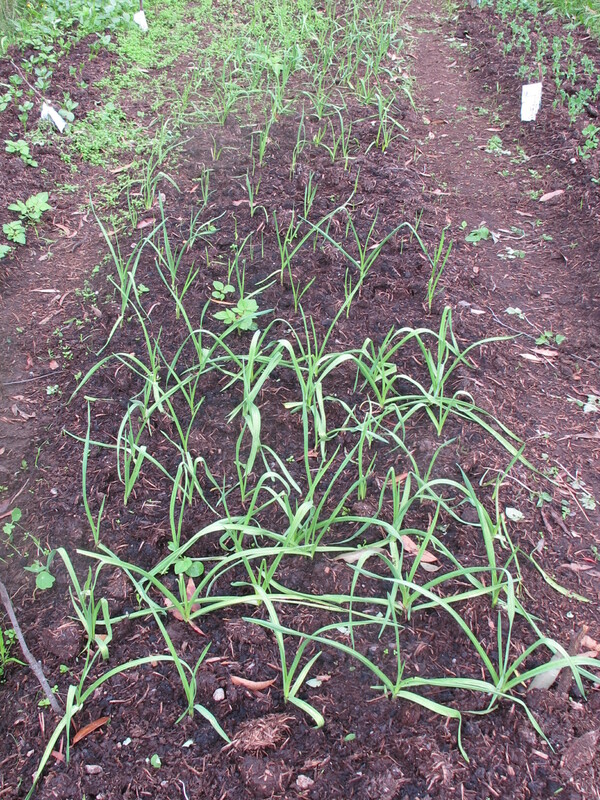 The garlic that I planted in March is all up now, early, mid-season and late varieties. All seem to be doing well. 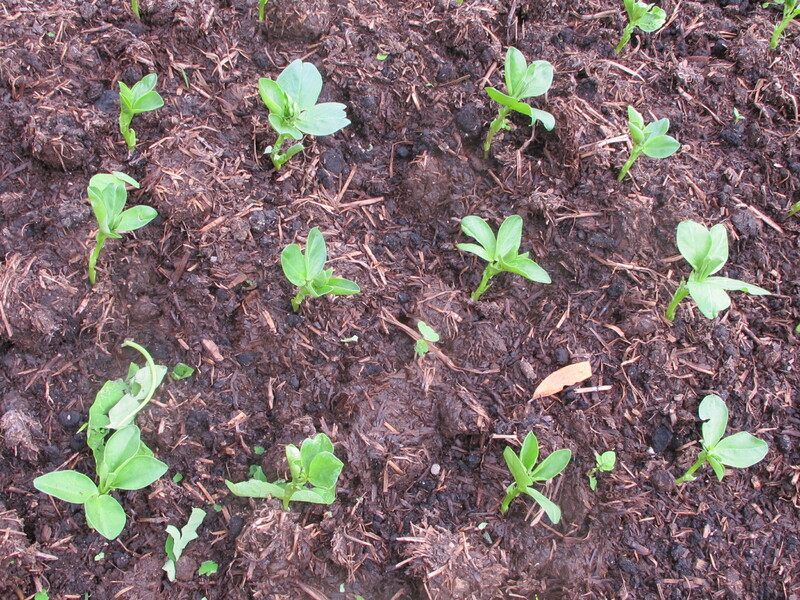 I also planted bush peas and broad beans on either side to accompany them and to fix a little nitrogen as well, while they are at it. We’ll see how the rest of the year pans out, and if the rainfall continues. 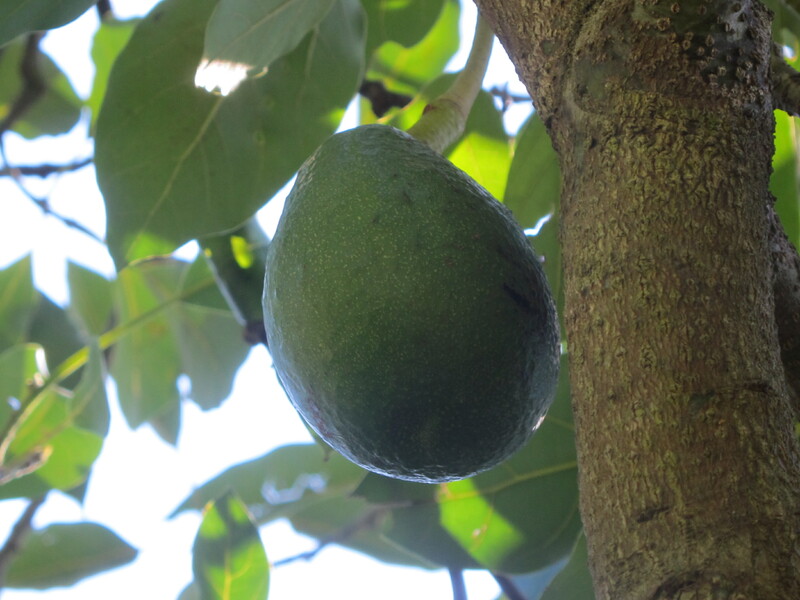 One plant that has thrived in all this rain has been the avocado tree. We have a bumper crop this year, hundreds! We’ll eat what the hail, birds and possum don’t ruin. We had such a sustained hail storm last Saturday week. During one of our wood firings. The hail on the tin roof was so loud that I went and put on my industrial ear muffs! One of the potters measured the decibels with her phone app at 89 decibels. That’s as loud as my chain saw, according to the warning sticker! The hail continued and lapsed, then returned 3 times in all during the afternoon and evening. It will have made a mess of the avocados. 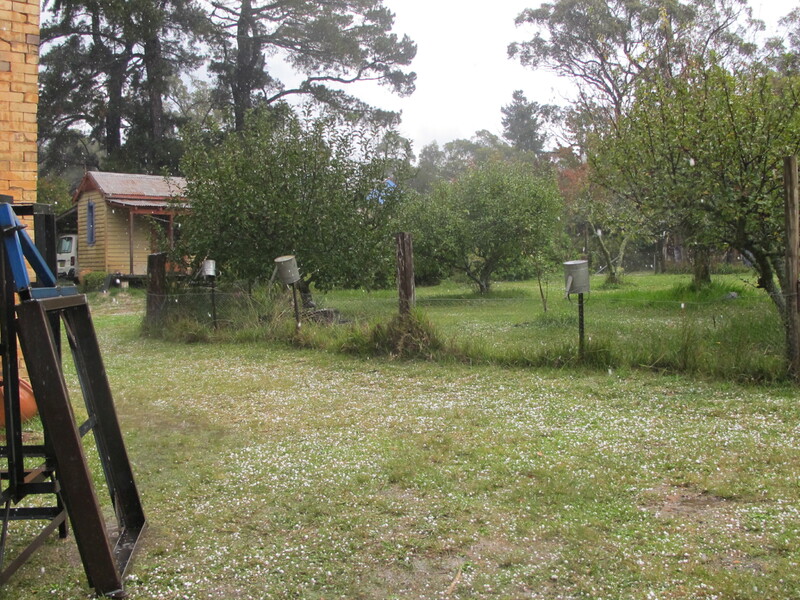 However the vegetable garden is entirely under cover of both chook wire and small mesh plastic netting now, so I was able to look out of the kiln shed window and watch the hail bounce off the fine plastic netting. 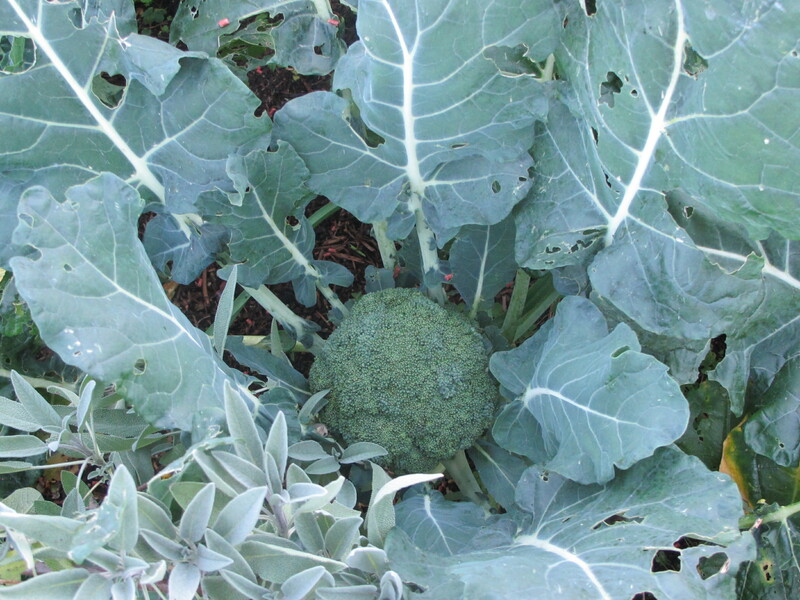 After the storm, I wandered out for a quick look, there was no noticeable damage to any of the vegetables. That netting was such an exertion of time, money and effort, but it was worth it in every way. This is part of the pay-back now. All those vegetables saved from a shredding from the hail. 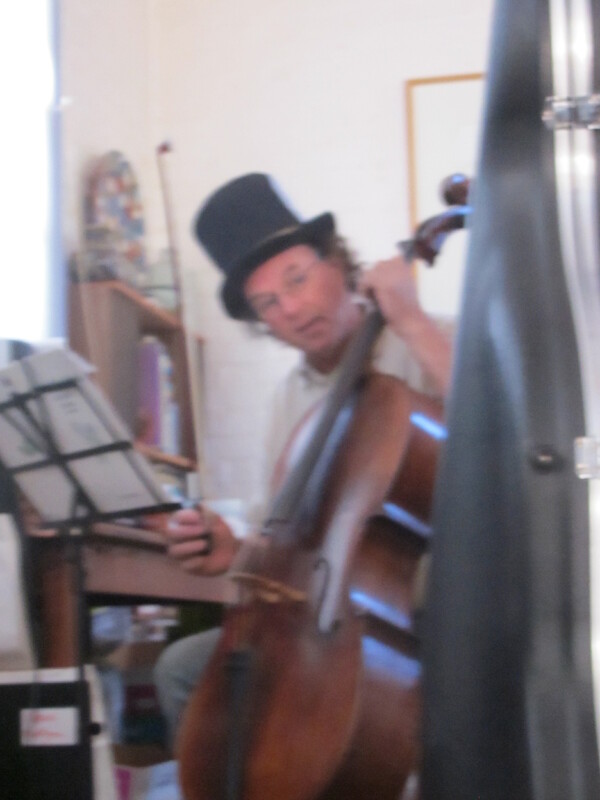 In the evenings, early mornings, or whenever I can fit it in throughout the day, I manage to find a little time to play my cello. It’s a beautiful thing. It’s changing over time as the wood ages and settles in. We are growing older together, Nina, me and this cello, the difference between us being that it’s the cello that is getting better with age ! This entry was posted in In the garden, In the pottery, kiln firing, self-reliance and tagged cello, growing old together by hotnsticky. Bookmark the permalink.